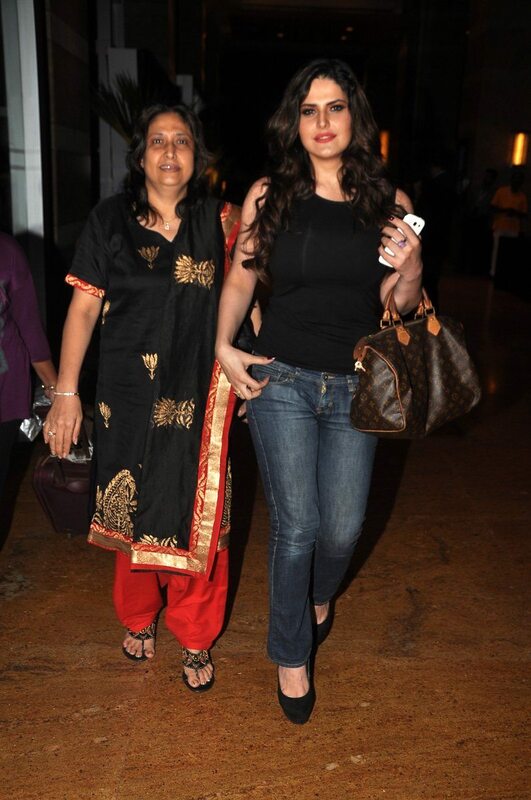 Zarine Khan looks trendy on her day out with mother. 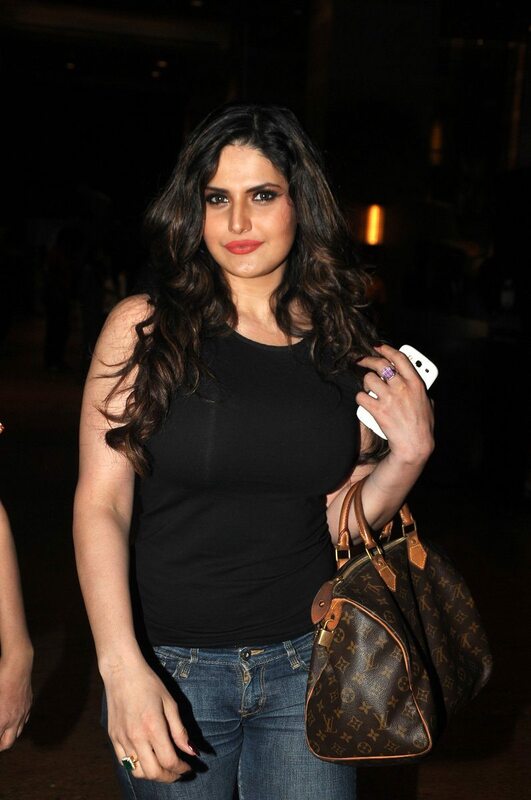 Bollywood actress Zarine Khan was spotted on an outing with her mother on July 16, 2014. The ‘Housefull 2’ actress looked stunning in a pair of blue denims paired with a fitting black top. The actress started her career in Bollywood with the movie ‘Veer’ in which she played the role of Princess Yashodhara. Later the actress also appeared in the movies ‘Ready’ and ‘Housefull 2’. Apart from Bollywood movies, the actress has also appeared in Tamil and Punjabi movies. The actress is currently working on upcoming Bollywood movies ‘The Legend of Michael Mishra’, ‘Amar Must Die’, ‘Partner 2’ and Tamil movie ‘Karikalan’. The actress has walked the ramp as the showstopper for the Jewellery brand YS18 at India International Jewellery Week.